WWE | What can I learn today? As I have already complained written about several times this week, I embarked on a massive spring cleaning project at the start of my current holidays. Part of this involved loading all my CDs on to iTunes. And while I talked the other day about finding enough Kylie Minogue to make me happy, there was one other disc that really caught my eye – and not in a good way. It was called You Can’t See Me and was released by John Cena, a name that will be instantly familiar to rednecks and young boys as he’s a superstar of the wrestling word. Anyway, while he seems to have a decent voice I can’t say I found much inspiration in tracks such as Don’t F*** With Us, which I imagine is a sensitive exploration of the human psyche. But it did remind me I’d been seeing adverts for a WWE match-up between Cena and The Rock. And naturally, I then wanted to know how The Rock got his nickname. Truth be told if my real name was Dwayne Johnson and I wanted to build my action man persona, I would probably change it too. But it seems the reason is actually personal. When he first began pro wrestling, the athlete used the name Rocky Maivia to honour his father, Rocky Johnson, and grandfather, Peter Maivia. 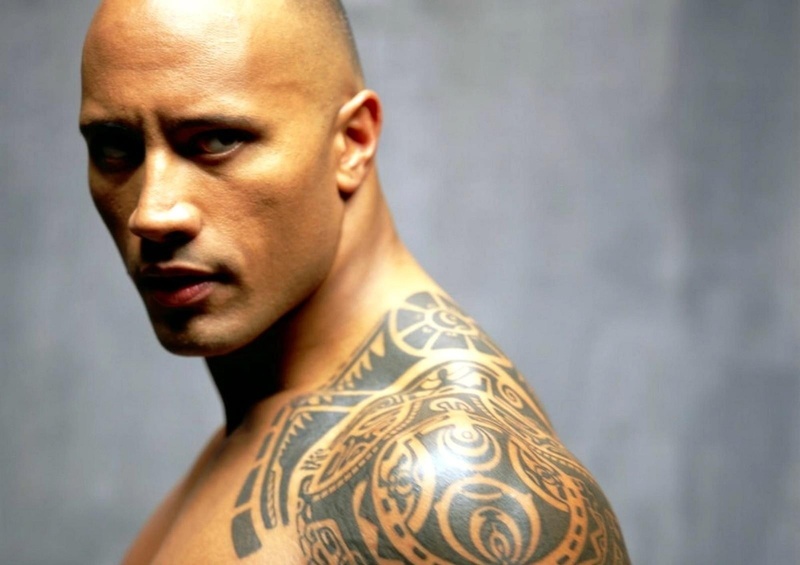 This was later shortened to The Rock as befits his charisma and ringside popularity, although he now prefers to go by his real name, especially given how hot he is in Hollywood. And you know what? That’s more than fine by me. I mean would you want to argue with him?